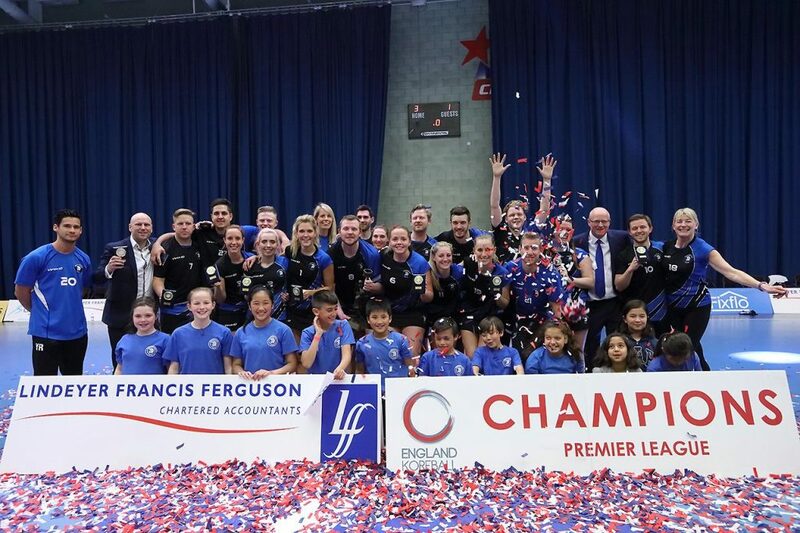 Trojans proved they have not lost their love for winning trophies as they fought off Norwich Knights to claim a 10th consecutive England Korfball League crown. Once they got in front, the Croydon-based side never looked back and they were simply too strong for their opponents as they completed a 30-17 victory. Norwich can hold their heads high despite the result after making their first appearance is the showpiece final and they were moments when they looked like they could match Trojans. However, these would only prove to be fleeting as Trojans showed their class when they needed to. After the ball spent time in both ends early on, Tony Woodvine opened the scoring for the defending champions with a shot from behind the korf. Norwich had a perfect chance to equalise when Lizzie McCloud won her side a penalty, but captain Charlie Vogwill’s effort lacked power and missed the target. Neala Brennan soon made it 2-0, but a response came from Norwich after the change-over as Heather Stokes finished off a series of passes with her shot from the side in the fourth minute. Amy Turner put Trojans two ahead again just 24 seconds later though. Norwich got a chance from a free pass which saw Vogwill’s effort clip the korf a couple of times before bouncing out while at the other end, Woodvine and Dave Brooks both went close for Trojans. In the ninth minute, Norwich got another penalty and this time Vogwill nailed his shot to make it 3-2, but Trojans found the basket again 30 seconds later thanks to their captain Dave Brooks. A minute later, Norwich got another penalty, with Paul Debenham given the task of converting, but he was unable to do so. It was starting to look like Norwich might regret these missed opportunities and this was compounded by Trojans scoring the next four goals. Sam Brooks got the first of these from a free pass before Jonny Nickerson converted a penalty and Dave Brooks added two more. Norwich desperately needed to respond and thankfully they did through Debenham and then substitute Claire Dique put an extra spring into their step as she also found the target to make it 8-4. Woodvine got another for Trojans who managed to defend a free pass at the opposite end, only for Vogwill to score in the play that followed. Nickerson missed a penalty for Trojans with eight minutes in the half, but the next set piece saw Sam Brooks convert a free pass. Norwich looked to end the half strongly and Debenham found the basket again, this time from the back corner of the court, but any potential momentum was cut off by two scores from Woodvine, the second coming after some quick footwork caught his defender napping. Another penalty fell into Nickerson’s hands and he redeemed his earlier miss, but Norwich showed they were still up for the fight with another great shot from Debenham in the corner and then a chance was slotted home by McCloud from behind. Dave Brooks made sure Trojans had a six goal advantage at the break and when the interval came, the title holders were well in control. However, 10 seconds into the second half, Norwich made the perfect start as a pumped-up looking Stan Dunn cut into the post and scored. Trojans showed the sort of character that multiple champions have though as they replied with two quick fire goals, the first just 13 seconds later from Turner before Hannah Goodridge opened her account for the final with just over a minute gone. They nearly moved further ahead when Debenham fouled Dave Brooks and Dean Woods awarded Trojans a penalty, but the captain’s shot only found the rim of the korf. Woodvine was able to make it 17-9 though by finishing off a move which saw Trojan’s attackers rotate the ball round their division before he cut into space under the post. Dunn got in on the act again for Norwich as he was given an opportunity from a free pass, which he delightfully took, although he failed to do the same a minute later from another set piece. Turner made it 18-10 with an excellent shot from distance and Woodvine scored again, this time working himself into space a few metres from the basket before picking his target perfectly. Vogwill was on target again from a free pass for Norwich, but this was followed by a spell of four goals in the space of three minutes for Trojans as they really began to motor ahead with Sam Brooks, Turner, Woodvine and a Dave Brooks penalty making it 23-11. They won another penalty with 16 minutes left after Turner was touched by McCloud as she ran to the post, with Nickerson scoring. Turner got the better of McCloud again a minute later as she won a collect and tucked away an easy goal. Dave Brooks showed a touch of class with the next goal as he shot, collected, spun and fired home from behind the korf in a swift move. A downtrodden Norwich side did not let their guard down and they stopped the scoring momentum with successful attempts from McKenzie and Stokes. The Brooks brothers added goals to each of their tallies for Trojans before McCloud linked up with Vogwill, who was in a feeding position, to swoop into the post and score. Trojans took over the scoring again though as Sam Brooks supplied Kathryn Goodridge with the ball to run in with and Eva Gibbins also converted a shot. With Trojans now ringing the changes, they seemed to take their foot off the gas a bit and this allowed Norwich to finish with a flourish of three goals. Vogwill made the most of two set pieces, first a free pass and then a penalty after Matt Warren fouled McKenzie. Debenham then completed the scoring with a nice effort from mid-range. Ninty-one seconds later, the final hooter sounded and Trojans could officially call themselves champions for the 10th consecutive time.